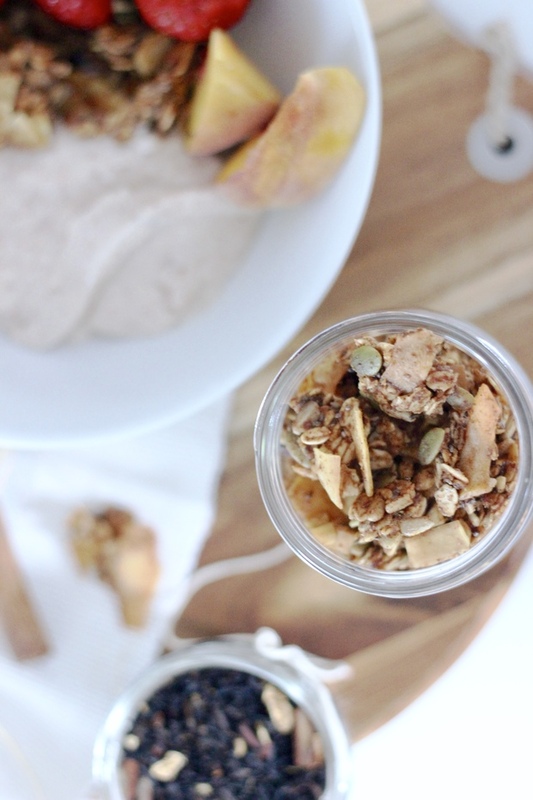 I am addicted to granola. 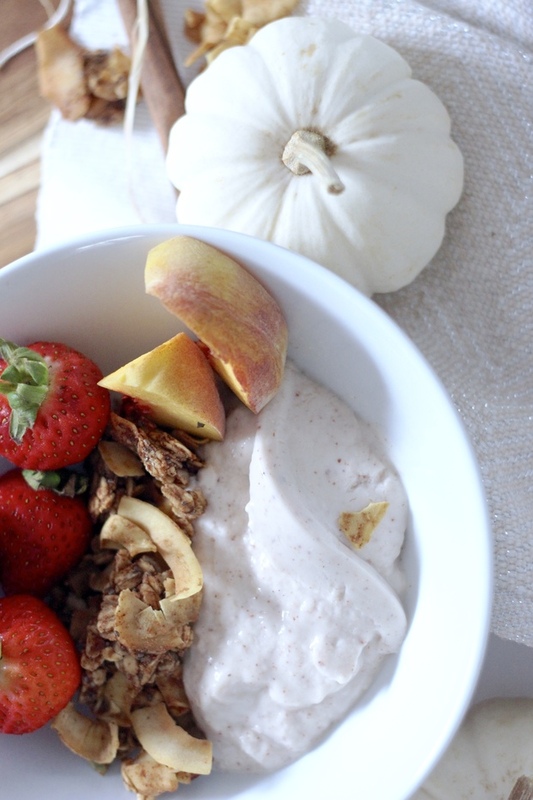 Constantly eating it, trying out new recipes, and never getting bored of putting it on everything from yogurt, smoothies, to just straight- up shoving handfuls in my mouth. 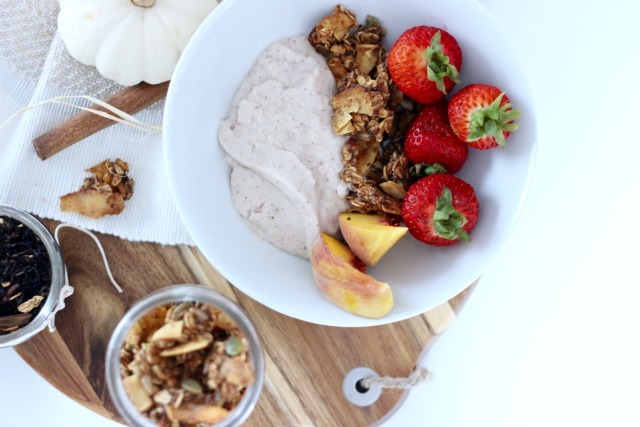 My go-to recipe is the granola clusters from the Oh She Glows Cookbook, but with the arrival of fall I wanted to make something festive and full of pumpkin flavour! 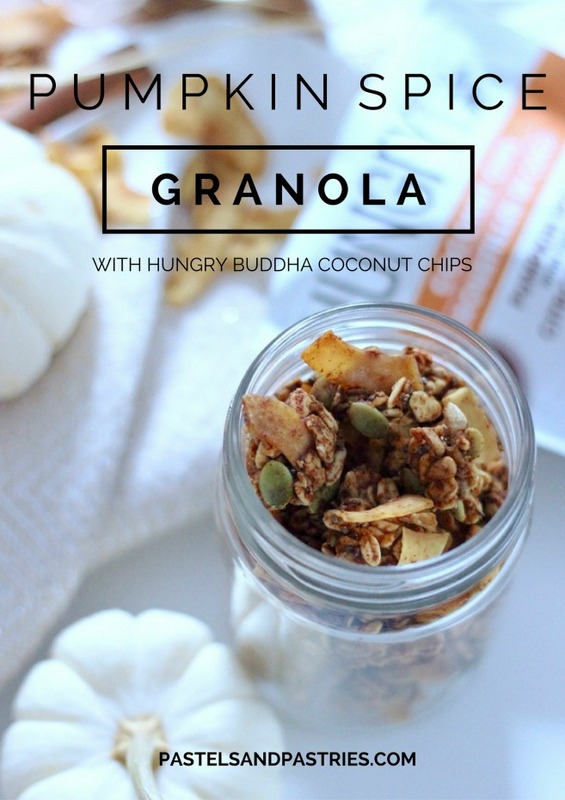 You all know I looooove Buddha Brands Co.-- their coconut water is so pure and delish, and the coconut chips are so amazing (remember these recipes). 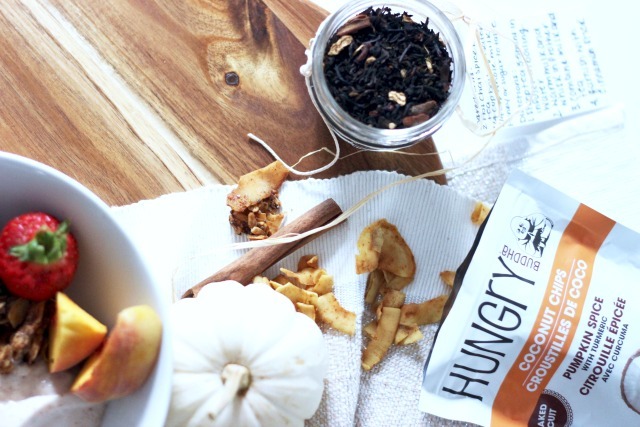 They are launching a limited edition flavour for fall-- yes, Pumpkin Spice Coconut Chips with Turmeric! I have become slightly obsessed. They are so crunchy, so light, so packed with flavour, and so healthy! And turmeric is so, so good for you! 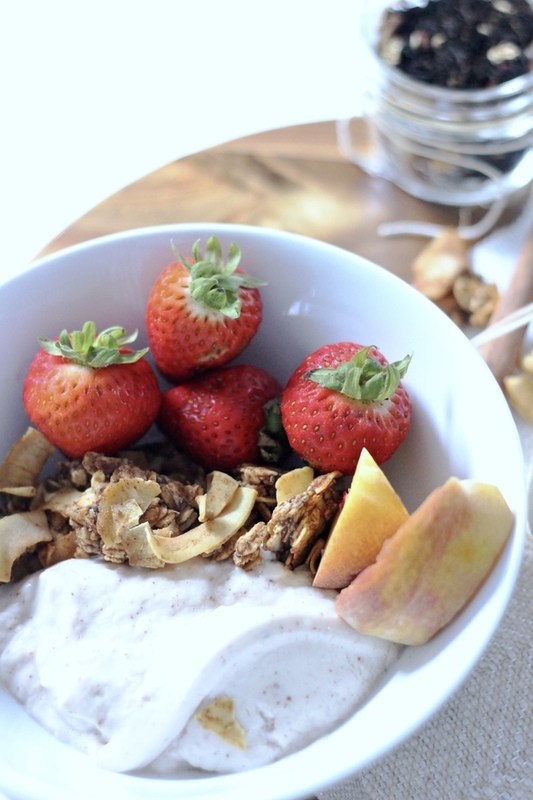 It has great anti-inflammatory properties, and it regulates your cholesterol. 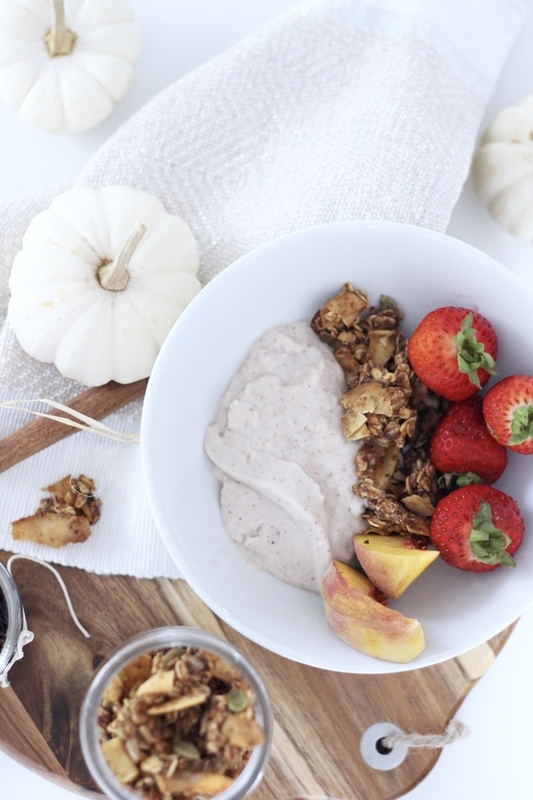 I decided to take a basic granola recipe and add these in with some other fall spices to make the ultimate pumpkin spice granola for fall. It didn't last long in my house! If you saw me make it on snapchat (username: gabpacifico), you would have noticed half the pan gone as I was explaining the recipe! 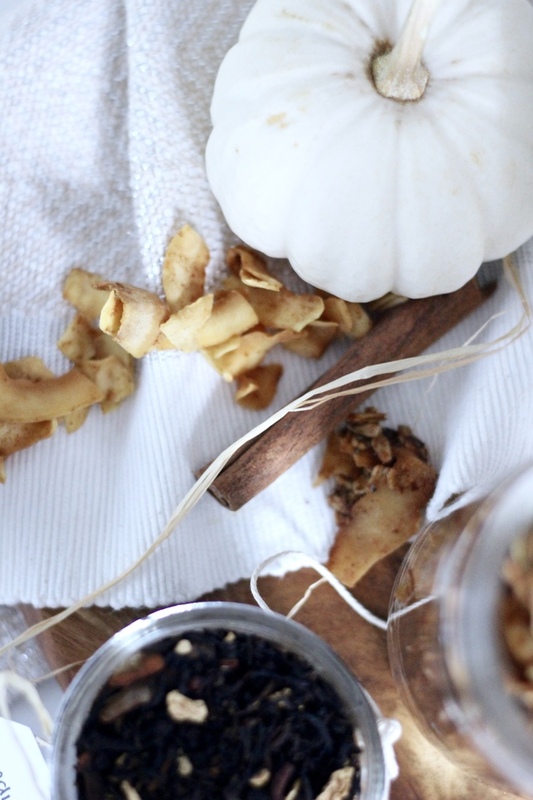 This recipe is a great, healthy snack and so festive. 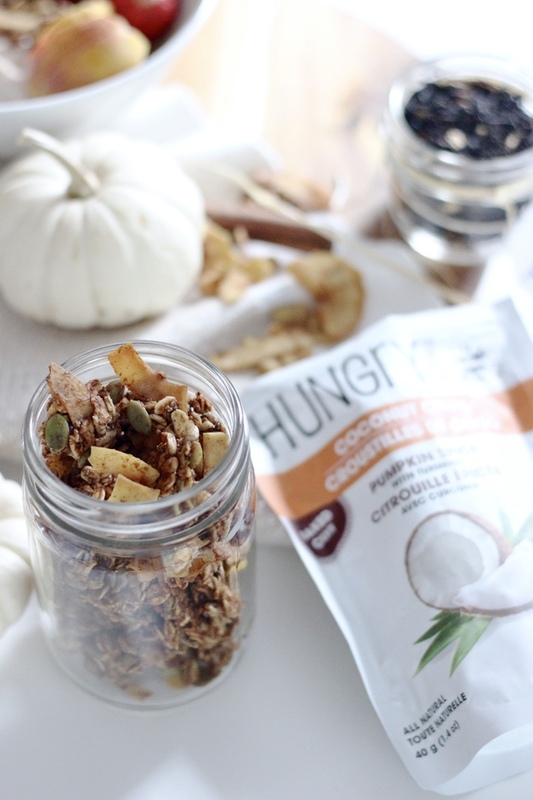 Pair it with a homemade pumpkin pie latte, or chai tea latte for a delicious snack! The ingredient list may seem long, but feel free to substitute with what you have on hand! No rules here! Ohhh this sounds so good. mmmmm, looks amazing and smells like fall from here!